Mark Hairr grew up on a Sampson County farm where they raised pigs, cows and row crops. His family sold out of the pig business in the late 1980s and Mark saved money from summer jobs and bought back in during the summer of 1991. He started with 10 gilts and two boars and expanded to about 80 sows before making the decision to leave the family farm and seek a career with one of the local integrators. 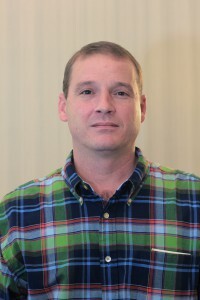 Mark graduated from high school in 1993 and enrolled in the swine management technology program at James Sprunt Community College that same year. He graduated with an associate degree in March of 1995 and began his career with Browns of Carolina as a technician on a sow farm in Faison. He has been with the company through several mergers over the past 18 years and has held various positions in the organization. Prior to his current role, he was a company sow service person responsible for about 20,000 sows and 60 employees. Before the sow position, he served as a contract finishing specialist responsible for health and marketing on approximately 12 contract farms with about 70,000 finishing spaces. Mark is currently part of the NPPC Pork 2025 advisory task force. Elected to the board of directors in 2014, reelected in 2017, representing District 4.